Okoawo BlueGate: Kefee Don Momoh aka Branama, is dead. Kefee Don Momoh aka Branama, is dead. 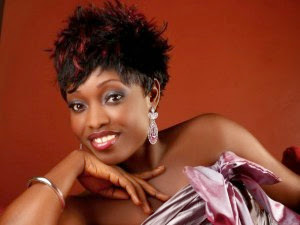 The talented music maverick, a Multiple award-winning gospel singer, Kefee Don Momoh, has been confirmed dead. She passed on in the early hours of today, after being in coma for weeks in an undisclosed American hospital. She went into a coma, after collapsing on a 14-hour flight on her way to Chicago for an event about a two weeks ago. A close family source revealed she was diagnosed of having pre-eclampsia – pregnancy induced high blood pressure. Kefee whose music career started at age eight in her church choir, was famous for her gospel songs ‘Branama’ and ‘Kokoroko’. She won several awards including the best collaboration Headies Award in 2010. Until her death, she resided happily with her husband in the US and managed her restaurant, Branama Kitchen, in Lagos.